Although upgrading software can seem like a simple and straightforward process, today’s enterprise applications are far more integrated across functions, processes and systems. Enterprise applications can touch nearly every aspect of work within an organization as information flows from one department to the next. This level of integration leads to complexity that can make basic software upgrades challenging. In some cases, trying to improve one system can unintentionally affect another system. 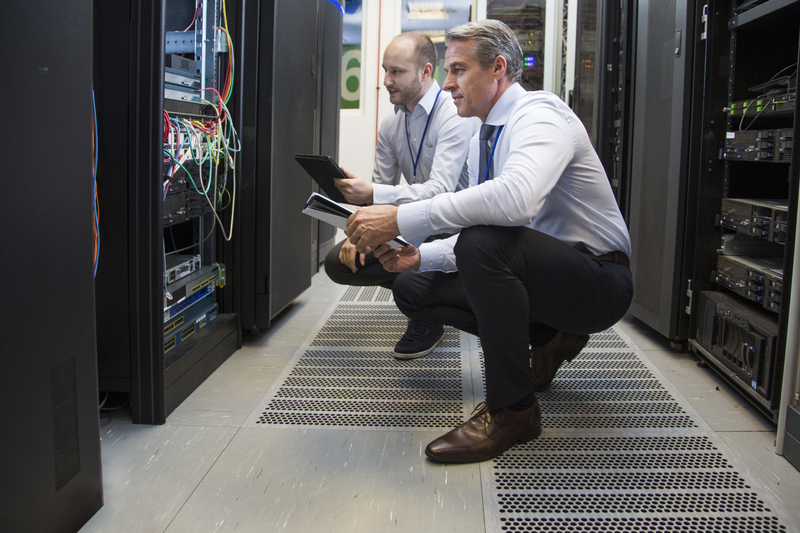 A smooth and successful transition requires thorough planning, and close consideration of the potential impact on the rest of your technology environment. It’s inevitable. Organizations using technology – like we all do – need to upgrade their software. Your organization needs the latest tools to take advantage of essential mobility, GIS or workflow functionalities. It may also be that more robust security provisions are needed. Before tackling any software upgrade, a comprehensive assessment should be conducted on the applications environment, touchpoints, databases and interfaces. The most challenging step in a successful technology upgrade is understanding the total impact on the environment, resources and work processes. Equipped with the right information, the software upgrade path can link systems and processes, minimize the impact on resources, and ensure that users are properly trained. This first phase of the Sciens process involves systematically evaluating your enterprise applications environment in order to understand the impact of any changes to the environment. Sciens works with you to obtain relevant background information through our standard data collection toolset. Using the information captured in Phase 1, Sciens develops an upgrade plan identifying the enterprise applications that should be upgraded and the timeline, including a sequence of upgrade steps. Sciens advises clients throughout the evaluation and prioritization process, helping you understand key resource requirements, infrastructure and process changes. An investment matrix enables clients to accurately allocate the resources and budget over the appropriate timeframe. Sciens provides a prioritized, documented upgrade strategy based on a 3-year planning cycle. The plan details what needs to be changed, when, and the rationale for the changes. Beyond infrastructure and process improvements, Sciens also helps with user training and adoption plans. Ultimately, clients can expect reliable timelines, investment summaries, and accountability. At every project launch, Sciens starts with the most fundamental ideals: What is the organization’s vision for their future? What are the priorities for success? Using the organization’s overall strategic plan as a map, and candid input from users as a compass, we gain a clear understanding to outline a plan for achieving organizational goals. For those who have not managed technology changes on a large scale, the process can seem daunting. Sciens brings experience, knowledge and peace of mind to help clients determine the level of technology upgrade they need, as well as the steps to get there. We have designed our consulting services around three levels of upgrade paths to ensure our clients get precisely what they want. Sciens (skē’ǝnz) assesses business strategies and aligns organizations, processes and technologies to improve efficiencies that translate into bottom-line results.